This week I had some SUPER exciting things happen! I had my first job interview in about 2 years(and got the job! ), my boyfriend and I had our three year anniversary, and Miss Peregrine’s Home for Peculiar Children premiered! I’m yet to see the movie but it’s a public holiday in Adelaide today so I might see it today! I hope that you enjoy this week’s looks! 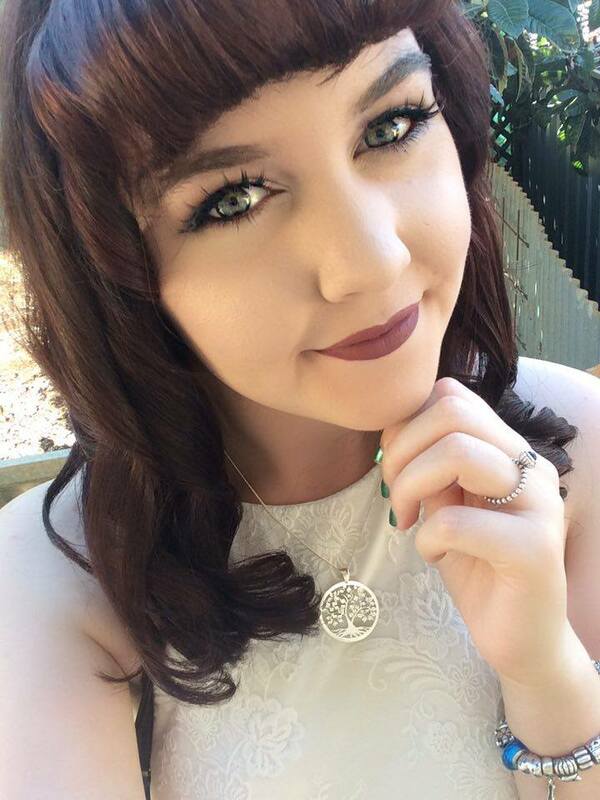 For the last post on Pastelsparkles for 2015, I thought that I’d share the makeup looks that I did over Christmas. 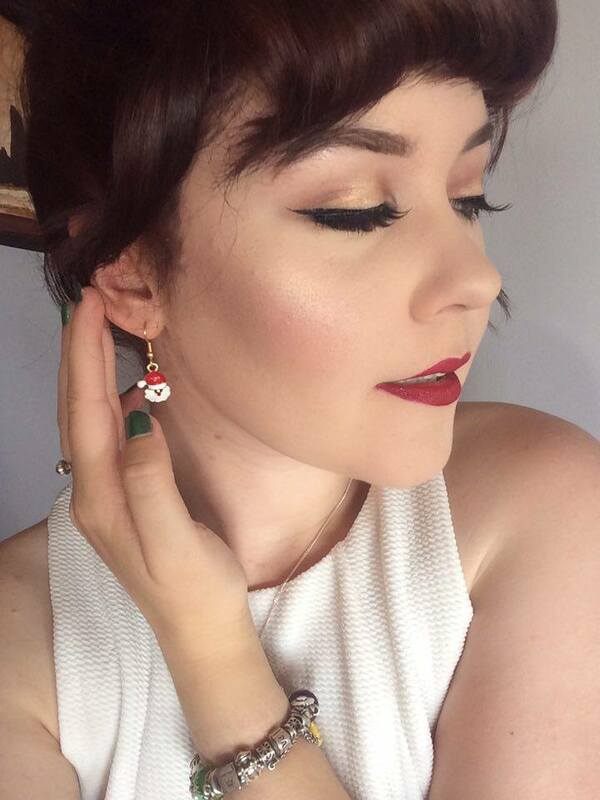 I went to four Christmas related events over the last week so I thought I’d share a few of the makeup looks that I wore. I only have photos for two of the four because the last two events were me rushing to get ready/not so interesting looks haha. I hope that you enjoy! The first look was from Christmas Eve for my Christmas celebrations with my Italian family. I had a really great night with that side of my family. The second look is from Christmas day when I spent the day with my boyfriend’s family. I also wore Santa earrings from Cabochons n’ Crystals by Sherrell Burford. I’d definitely recommend supporting this little store because they’re local and affordable! I hope that you all had a wonderful Christmas if you celebrated! I also wanted to thank everyone for an amazing year of blogging. I am so thankful for the support that you’ve all given me and I cannot wait for next year! Today, I’m going to be talking about a little gem of a gift set that you can purchase at Priceline. It would make for a great stocking stuffer or just a cute lil present for yourself! 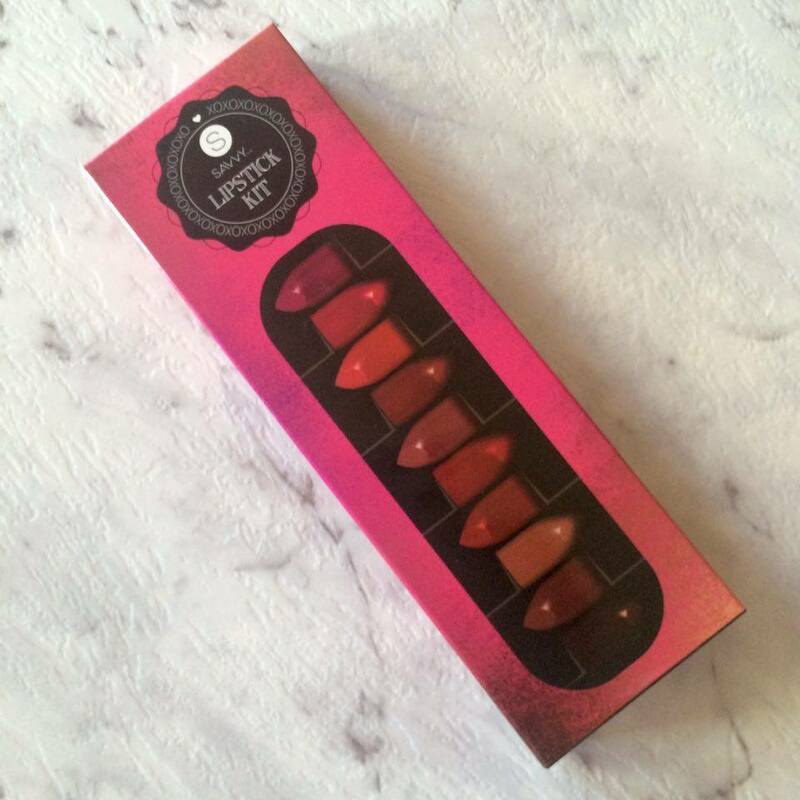 In the lip set, there are 10 mini lipsticks and they’re all very cute and I’m just really excited about them haha. Here is the packaging it comes in. I think that you can find this with the other gift set items in Priceline. As you can see from the box, there aren’t any really crazy colours. There are bold and neutral shades so there’s really something for everyone. This is what all of the little lipsticks look like out of the box. They all have Savvy written on them, which I think is so cool. I love that they pretty much just look like a regular lipstick but in mini packaging. 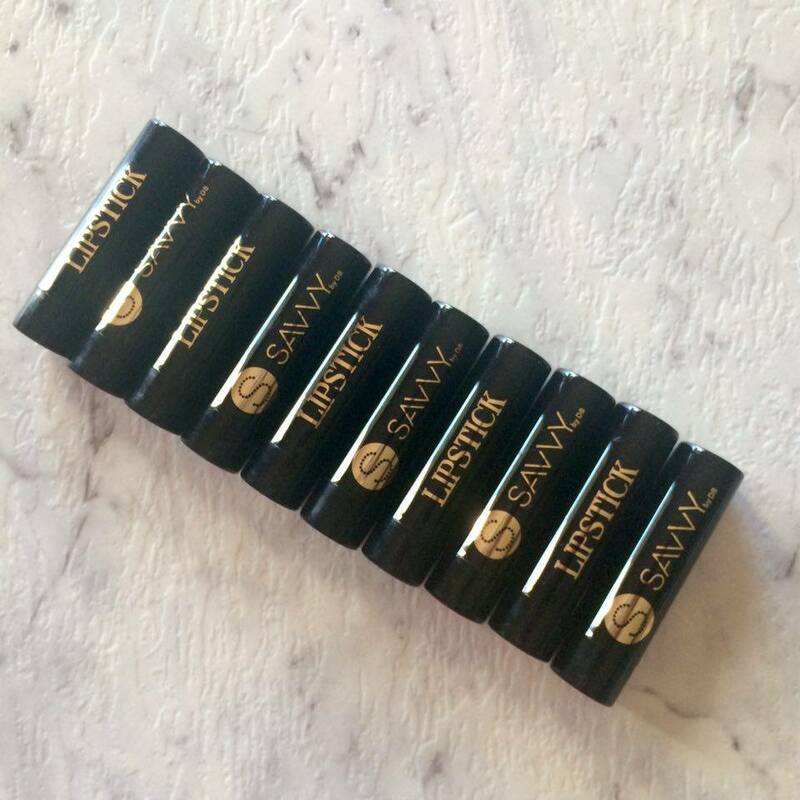 Each of the lipsticks even has a name given to them. Honestly, you can tell that Savvy put a lot of effort into these, they’re not just a throw away product. It’s so cool. Here is the shade Lily. 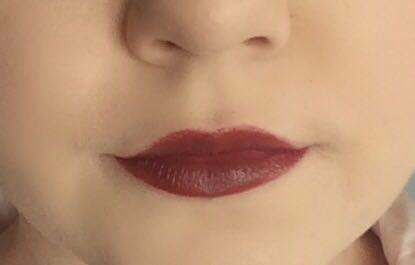 It is the lightest of the lipsticks in the kit. I don’t tend to wear these shades because I think that they wash me out. However, with the right lipliner or lipstick underneath, this lipstick will look really amazing. 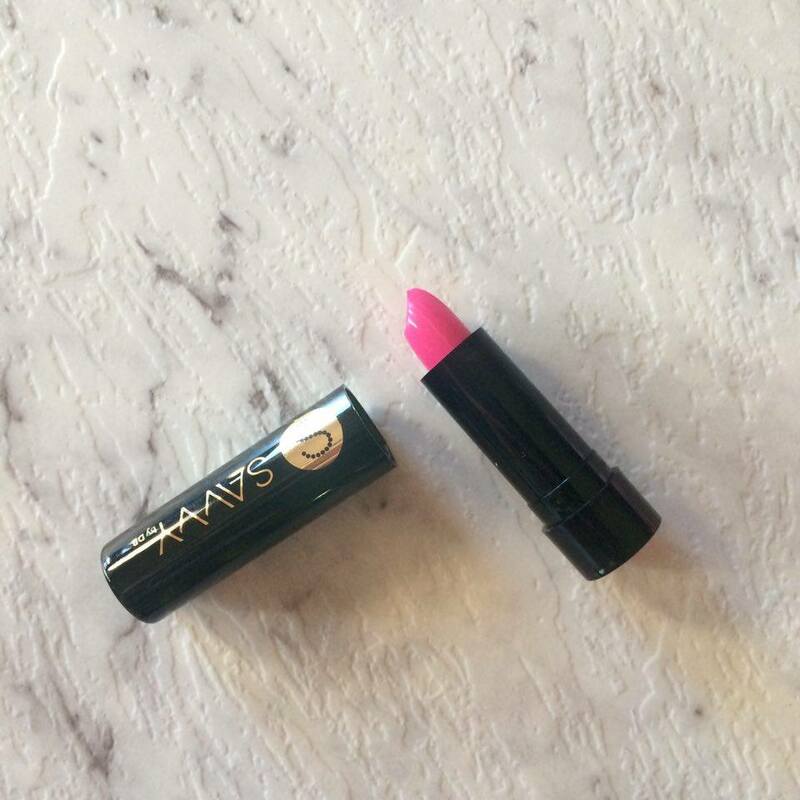 This would be great for an ombre lip look! 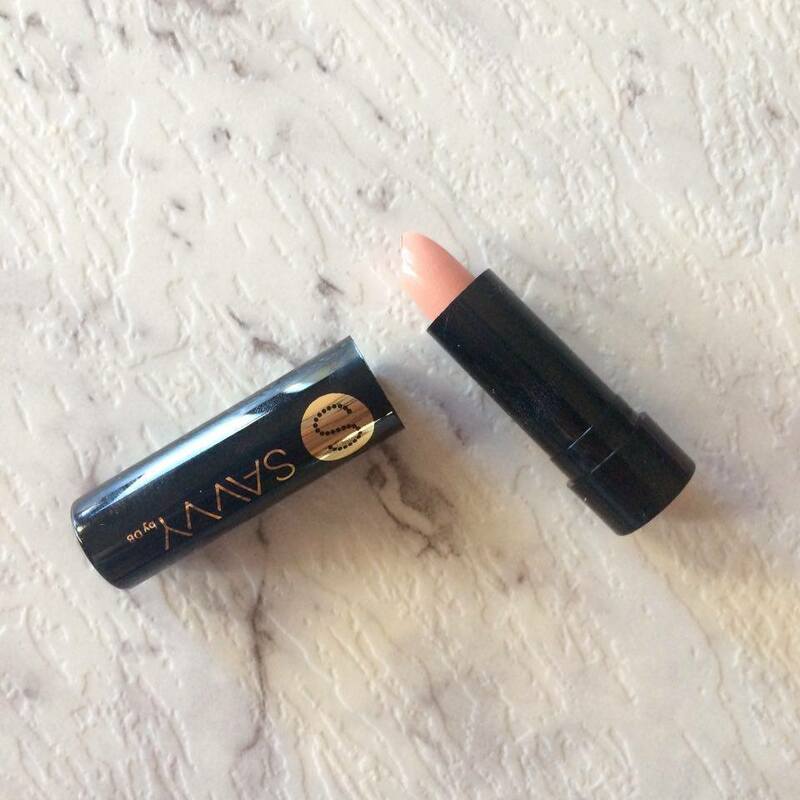 Super creamy and nice feeling on the lips. Here is the shade Iris. 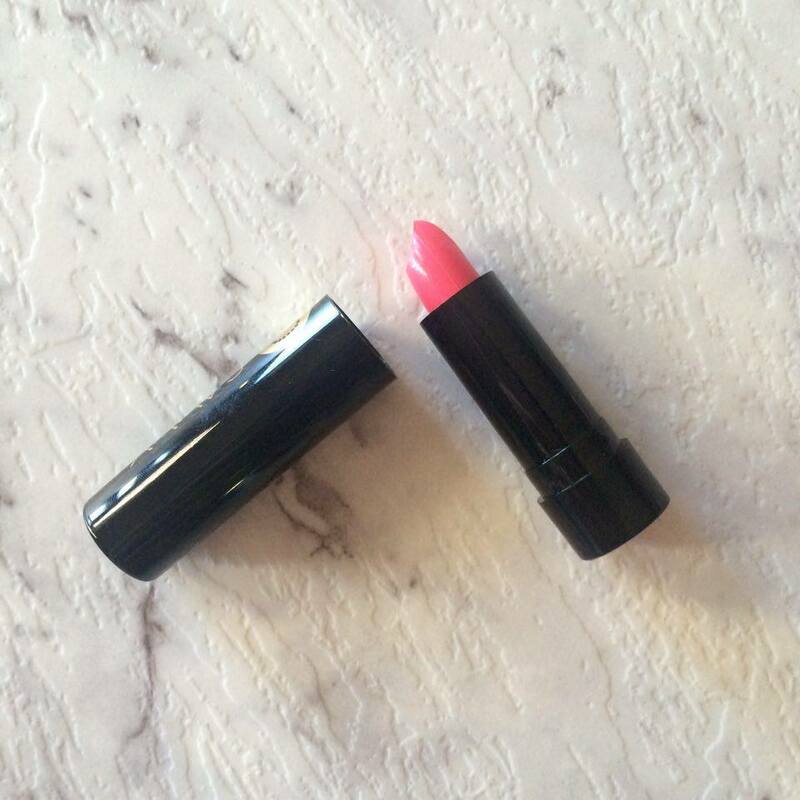 This is probably my most preferred lip shade at the moment. 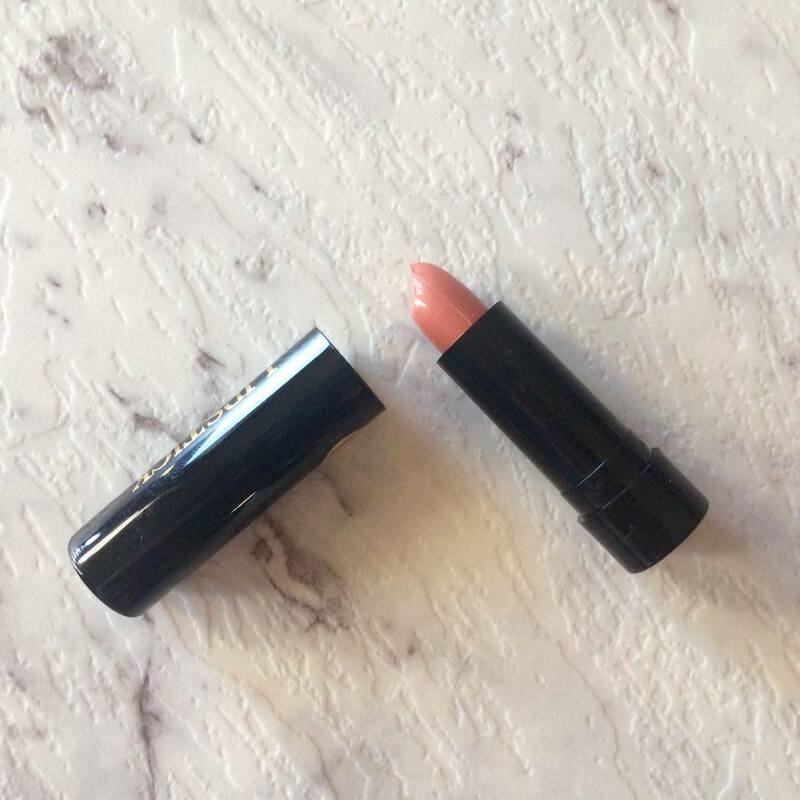 This lip shade looks very similar to MAC Modesty, which I’ve mentioned is one of my most favourite MAC lipsticks. This is a neutral that leans quite brown but it still has a bit of pink in it so it is still quite flattering and easy to pull off. 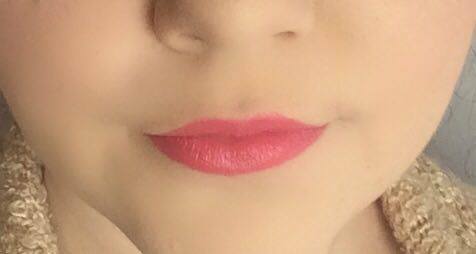 Like Lily, this shade is super creaming and nice on the lips. Here is the shade Rose. This colour is a really nice neutral pink shade. I feel like this colour would be a really nice everyday, goes-with-everything type of pink. All of the lipsticks in this set a really creamy and nice feeling. This shade leaves a nice stain behind so when it comes off when you eat, there will still be some lip colour behind. Here is the shade Tulip. This shade and Rose and the next shade all look very similar but they each have different undertones. Rose has a more brown undertone making it very wearable and would suit the most skins. This has a warmer undertone to it. All of the lipsticks in this set a really creamy and nice feeling. This shade, too, leaves a nice stain behind so when it comes off when you eat, there will still be some lip colour behind. Here is the shade Orchid. 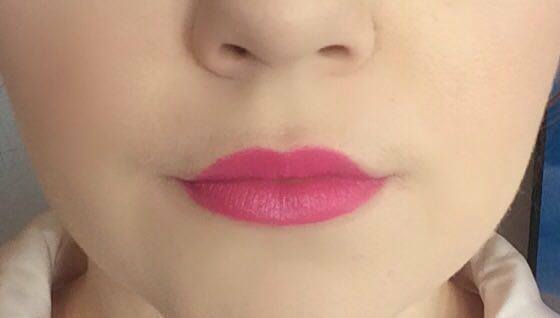 This pink is a bolder, more fluorescent pink than the others but it doesn’t really look like it in the swatch. You can see it better in the arm swatch that you can find later on in the post. All of the lipsticks in this set a really creamy and nice feeling. This shade, too, leaves a nice stain behind so when it comes off when you eat, there will still be some lip colour behind. Here is the shade Violet. 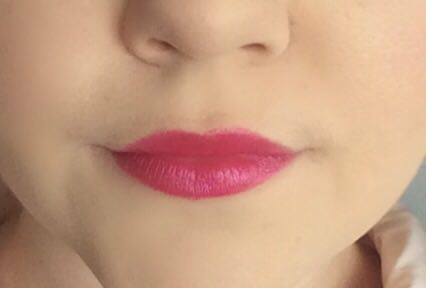 This is a darker pink and I feel like this is a pretty common lips shade. I’m sure that this lipstick would be a dupe for a lot of shades by other brands. 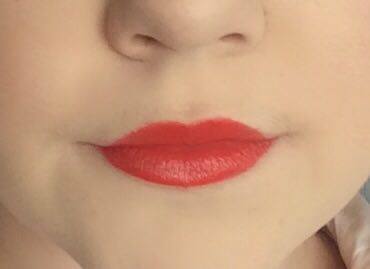 This shade really stains the lips! Here is the shade Lavender. This is the only metallic shade in the whole set and as you can see, it is not an overly offensive metallic shade. 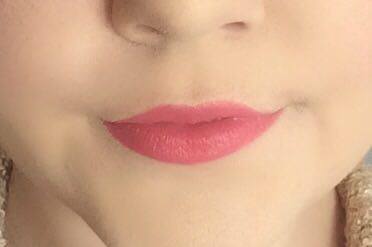 This colour lasts the best out of all of the lipsticks and the metallic sheen just makes the lips look glossier. This would be a really great base lipstick for a glitter lip. It is also a really pretty shade. Here is the shade Daffodil. 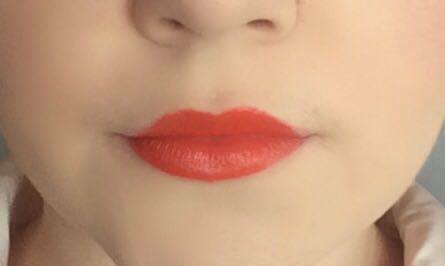 This is a really nice medium orange shade. I don’t tend to gravitate toward orange shades but since the Australis Velourlips in San-Fran-Disco, I’ve been warming to them. 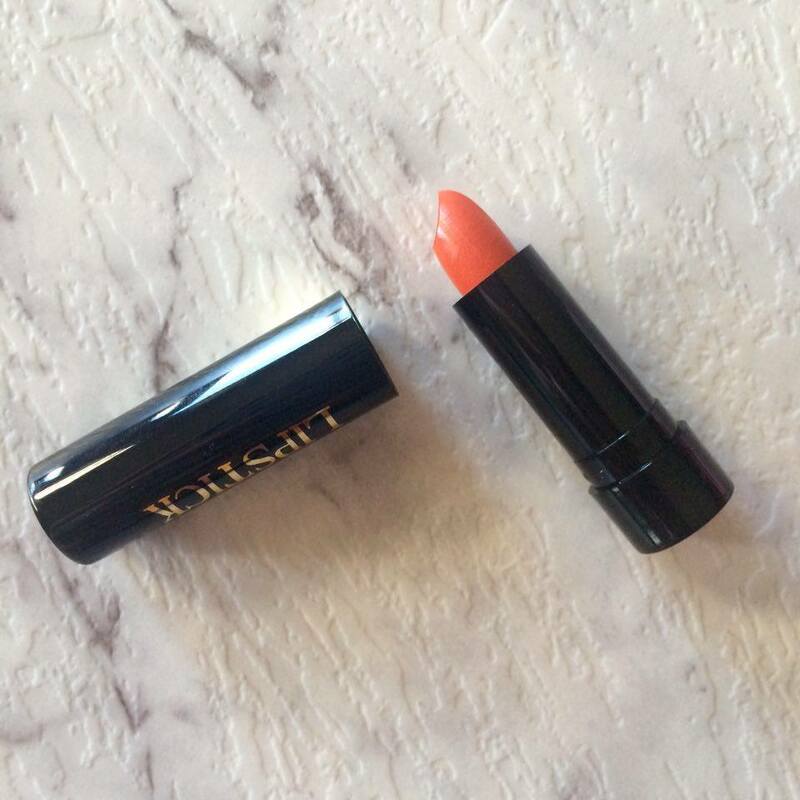 This shade would be perfect for summer! Here is the shade Daisy. This red shade definitely leans more orange than true red or blue red. I don’t typically wear orange reds very often because I don’t think they compliment my skin tone very well. For a bright red lip, I think that this lipstick would be really perfect. Here is the last shade, Peony. 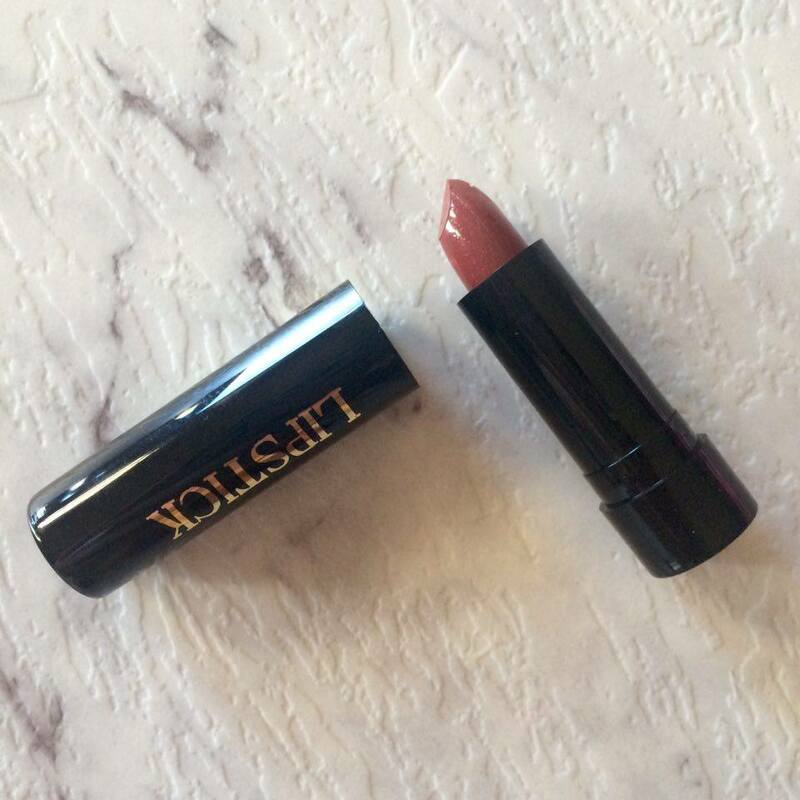 I was very excited about this colour because I’ve been wanting to wear brown lipstick to see what it would look like on my skin tone. 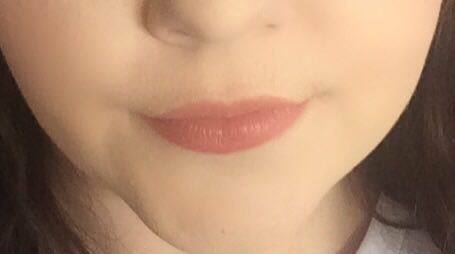 This brown has a very red base so it is pretty wearable and I think it suits my skin quite well. This is definitely a very on trend colour. 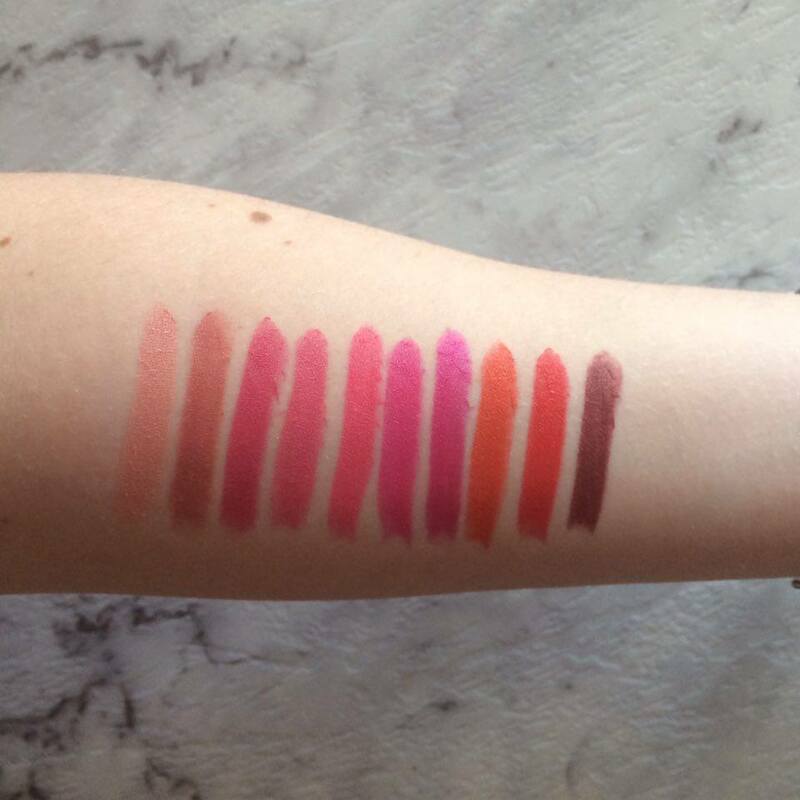 Here are all of the lipsticks swatched on to my arm. Funny story, the next day I went to go have a blood test and because my skin really badly stains, the lipstick stains were still there when I was having my blood test and the lady was so confused haha. We had a good little conversation about the cleanliness of tester lipsticks aha. So I think that this lipstick kit is a really good buy for only $10 at Priceline, that’s just $1 per lipstick. The quality of the lipsticks is just like any of the larger lipsticks. I would recommend wearing a lip liner underneath them. 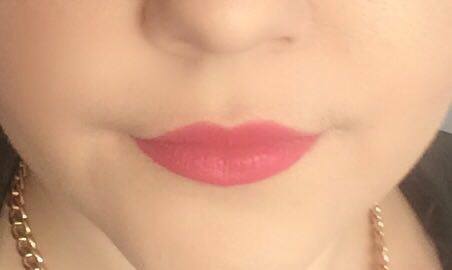 I didn’t experience any feathering but I get really paranoid about it happening and with this sort of formula, you might experience some so wearing lip liner as a precaution might be a good idea. The only real negative that I have about this product is that you can’t wind the lipstick all the way into the tube so you can risk ruining them in the lid if you aren’t careful. They also are a little bit prone to breaking if you don’t apply them to your lips carefully. On of mine broke as I was applying it but that might have been due to the heatwave that we’ve been going through here! Australia was not made for makeup! 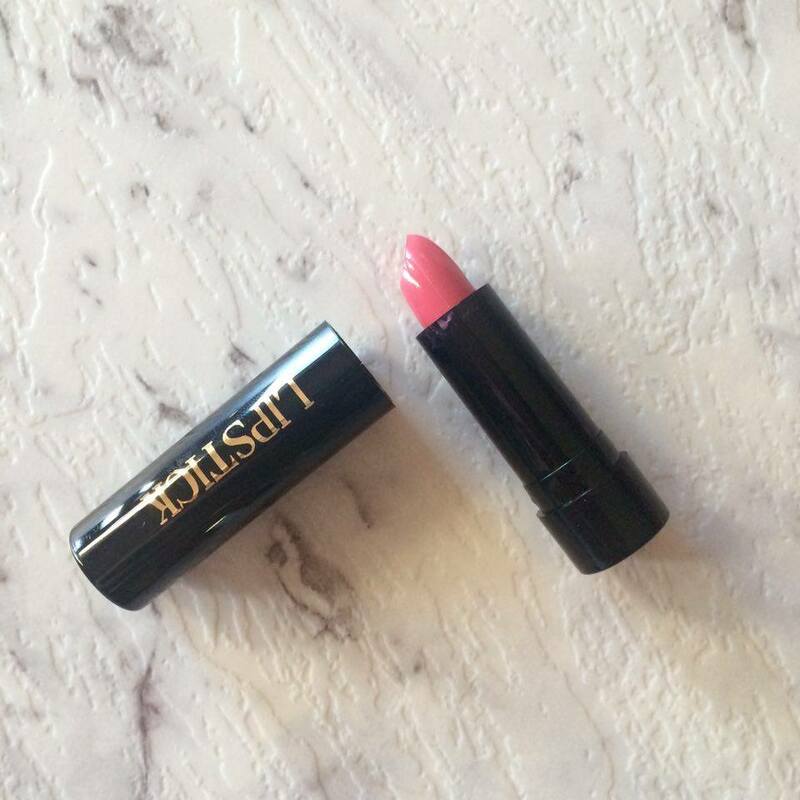 So I hope that you enjoyed reading about this product, I really love the lipsticks and I would really recommend picking them up for yourself or a friend. These would be perfect for someone who doesn’t have a lot of lipsticks or even someone who loves collecting lipsticks so that they can have mini lipsticks to travel with!